Another first happened to yours truly. 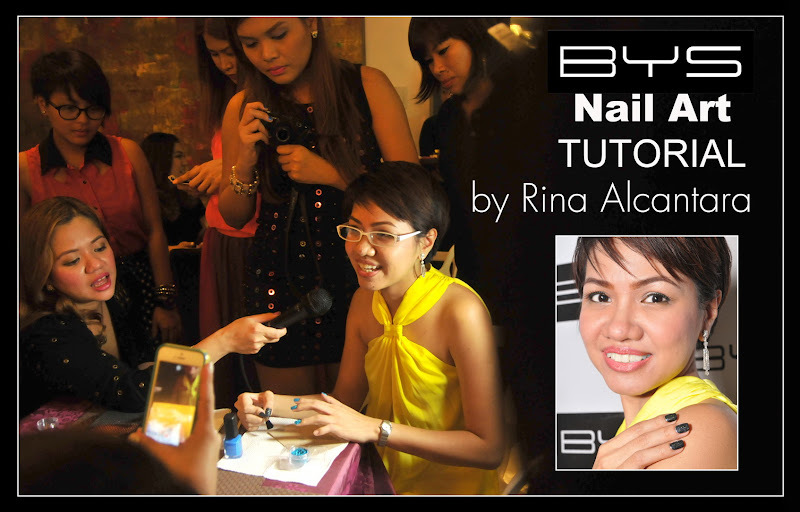 BYS invited me to talk about that one thing I am most passionate about -- nails, nail art in particular. When I decided to dedicated this blog to nail art, I had quite a difficult time choosing what category this site is supposed to be listed under. 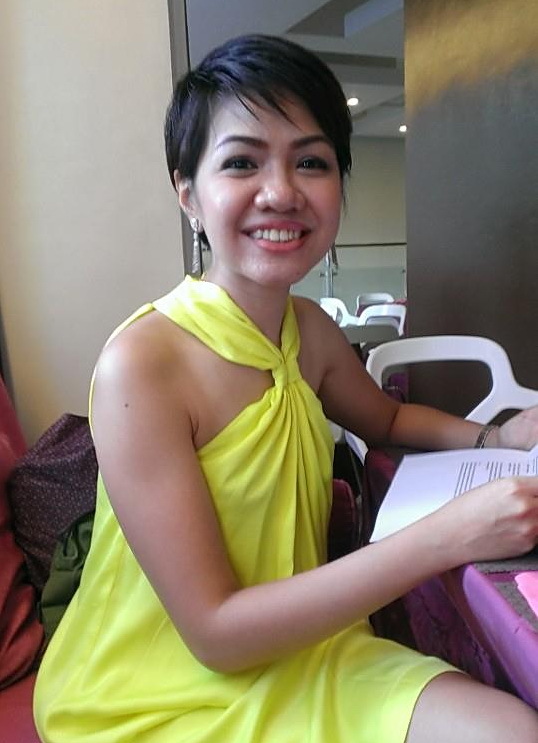 Initially, I chose personal blog until friends from blogosphere convinced me it should fall under beauty and fashion. I honestly felt out of place since I haven't really met nail bloggers in any of the events that I have attended. Well, that's probably because there rarely are events specific to nails around here. And so I bet you can imagine how thrilled I was when BYS decided to celebrate the launch of its Glitter for Nails over dinner with some media friends. I was even more thrilled that they asked me to introduce the collection, give a live demonstration, share personal tips, and suggest a few nail art ideas using the product. 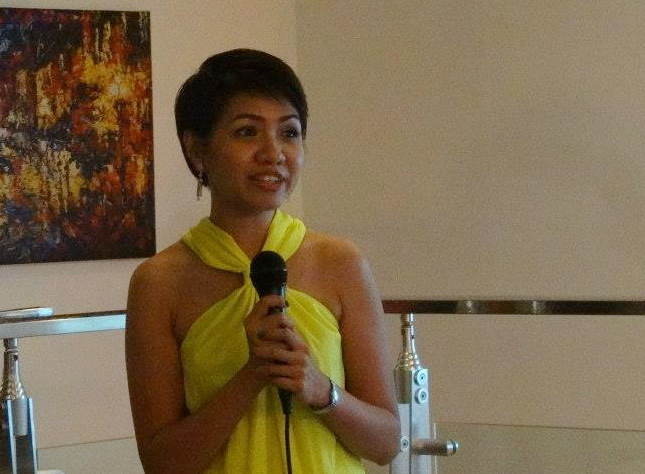 This is me giving insights on nail art. It was a Glitz and Glam event and guests were encouraged to try the BYS Glitter for Nails manicure to experience how different it is from the usual glitter mani. BYS invited a few nail technicians to help with this. I think it was the highlight of the evening. It is one thing to see how it looks like on photos and another to see or experience it on your own nails. You might wonder what's the importance of the live demonstration when there were nail techs applying the BYS glitter manicure on guests. Well, BYS also wants to convey that the nail kit is easy to use without seeking professional help. You really don't need to visit a nail salon to glamorize your nails. I was able to share personal tips and an alternative method for putting on the glitters during the live demo. Taken during the live demo. The night started a little slow. Nanay and I arrived quite early. Yes, I brought her with me so that she may get a glimpse of how Simply Rins have grown. When we got to the venue, I started reviewing my notes only to realize that I left my presentation at home! Good thing Shen had her laptop. We were able to download my presentation via email. But I was a bit sad to find out there might be no projector for the evening. So I set aside my notes and just looked forward to giving the demo. This is me reviewing my notes! I hope there'll be more events like this. More and more women are becoming particular on how they wear their nails. One of the things people we meet notice is our hands and having well-kept nails is actually a good thing because it says a lot about the person. I know that there are still a lot of people who can't understand why women polish their nails, more so wear nail art. But I seriously think that this is not just a trend and I'm happy that brands are slowly starting to recognize this as well. I may have forgotten lines from my talk, but I will never forget the experience. Thank you, BYS for the trust and the opportunity to let nails shine even for just one night. It might not be as exciting to most, but it was very much to me. Congratulations girl. You look lovely in that yellow dress! Congratulations! Bongga na si Ate Rins. Hehe.